The Rams are retuning to Los Angeles. I think many forgot how we got them here in the first place. Without an NFL team since 1988 we attempted to get an expansion team, but that effort ended in December 1993 when Jacksonville FL got the 2nd expansion team. With a new dome underway political leaders had to find a way to pay for what was going to be a career-ending white elephant. St. Louis has has been without an NFL team since 1988, when Cardinal owner Bill Bidwill, tired of being a secondary tenant to the baseball Cardinals in outdated Busch Stadium, moved his team to Phoenix. St. Louis was considered a lock for an NFL expansion team in 1993, but conflicting ownership groups and financial problems doomed that bid, and Charlotte, N.C., and Jacksonville, Fla., were awarded franchises. Fans thought New England Patriots owner James Orthwein, a St. Louis native, would move his team to St. Louis in early 1994, but New England businessman Robert Kraft purchased the team at the last minute and kept it in the Boston area. And St. Louis city and county officials nearly blew their chance at luring the Rams last summer because, until September, they couldn’t wrest control of the new stadium lease from a stubborn beer distributor who had the desire, but not the money, to buy an NFL team. But the city finally cleaned up its act when, after Shaw broke off talks with St. Louis in August, former U.S. Sen. Thomas Eagleton stepped in and convinced aspiring owner Jerry Clinton to turn over his 30% share of the stadium lease for $8 million and the use of a luxury suite for 20 years. The new stadium, under construction downtown, is scheduled to be completed in late October, meaning Ram home games for the first half of their first season in St. Louis might be played in Busch Stadium. The Rams weren’t here permanently — they were just on loan. Our desperation to fill the Dome we were building resulted in a too good to pass up deal for the Rams. We borrowed them for 21 seasons and one Super Bowl. Hell, they would’ve left a decade earlier if Georgia Frontiere wouldn’t have waived the right to go year to year after the Dome failed to be in the top tier after the first check in 2005. Despite his claims otherwise, Kroenke likely planned to move the Rams when he purchased a majority stake. To think otherwise is foolish, he owned sports teams all over the country — it’s no big deal to fly to Los Angeles in your private jet. The writing on the wall was obvious to everyone but football nuts and elected officials worried about getting reelected if they didn’t show an effort to keep the Rams from doing the inevitable. Perhaps enough dust has settled that we can breathe a sigh of relief that our little green building no longer faces immanent demolition. During this past year’s great folly to build an NFL worthy stadium in this area, we received many words of support and admiration for what the WAKF has accomplished here and hopes that it would continue to exist. We are very touched and grateful for this outpouring of support and are pleased that many people and organizations will continue to be able to use and enjoy this space. Now we hope that you and the powers that be will put some focused energy and money into revitalizing this whole north riverfront area. Thank you for all your good wishes and support!! 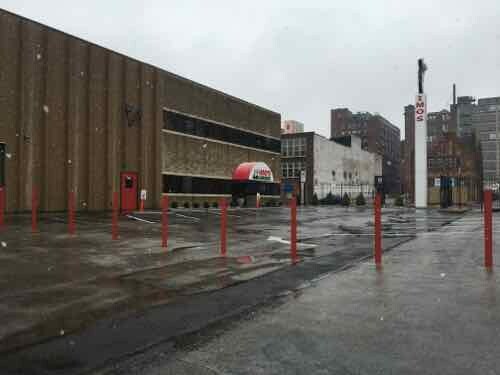 Agreed — we should keep focusing on the North Riverfront — revitalizing — not razing the area. Unlike in the early 90s, it doesn’t appear targeted properties were bought out. Nothing was razed. But owners are likely leery about investing out of fear of being targeted again. 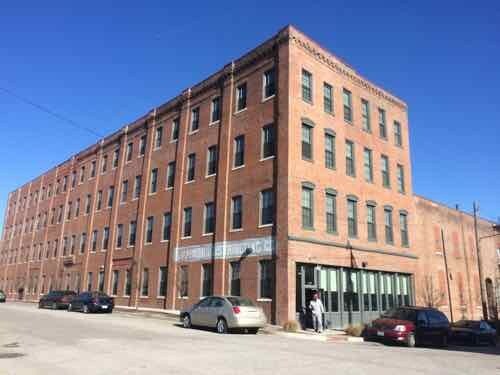 The Laclede Power building, just North of the Ashley Street Power House, is a contributing building in a small historic district. Warehouses in the along Ashley between 2nd and Lewis. 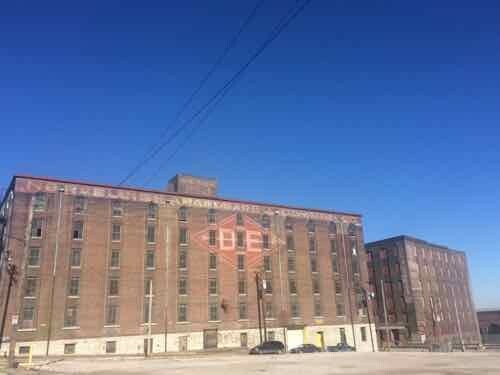 After a $10 million dollar investment, the Stamping Lofts opened in April 2013. Also part of a historic district. Accept we will not have another NFL team. Be content with existing sports: MLB, NHL, MASL, USL, NCAA. Consider attracting other sports, but not with a publicly-owned facility. Build on the investment in planning a stadium by planning how to be life, investment, jobs, etc to the North Riverfront. 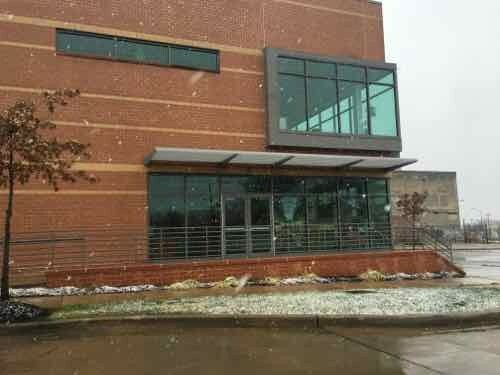 Schlafly Beer is looking for a location for a third brewery, perhaps the North Riverfront? 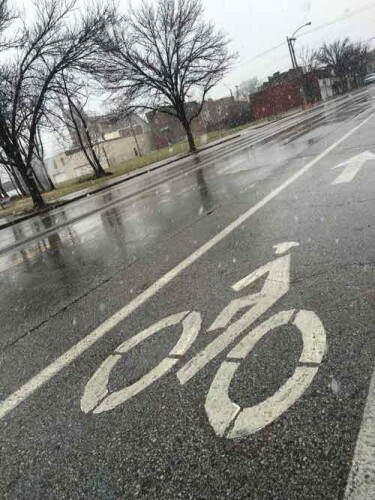 Let’s put together a plan for the area, find a way to begin updating streets, sidewalks, lighting, etc. 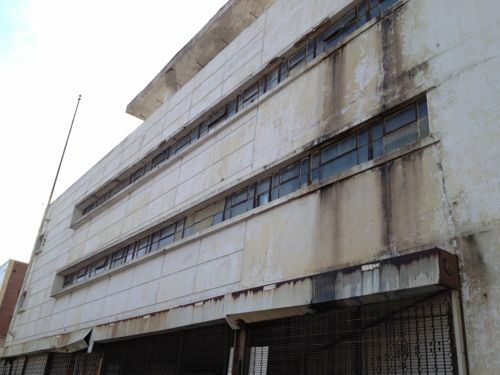 Market the hell out of the area to tun vacant properties into occupied buildings. 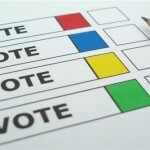 In the non-scientific Sunday Poll just over 20% said we should continue with the stadium plan — really folks!?! Thankfully more than 3/4 don’t think we should. The first step is to remove the target from the North Riverfront. Today is Dr. Martin Luther King Jr. Day so, like the previous 11, I’m taking at look at his namesake road in St. Louis. Unlike some previous years, very little appears to have changed since last year. I started downtown, drove out to the Wellston Loop at the city limits, and drove back. The corners of MLK & 14th are getting new curb cuts — was needed. 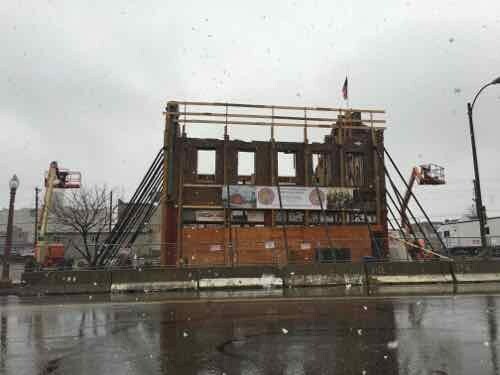 This modest structure being rehabbed was once a boarding house, in 1891 Henry Miller founded what is today the International Brotherhood of Electrical Workers (IBEW). Once finished it’ll be a museum will open to honor him. Click image for more information. Chronicle Coffee closed “temporarily for renovations and restructuring on 10/13/2014.”, it still appears closed.The phone number is no longer in service. 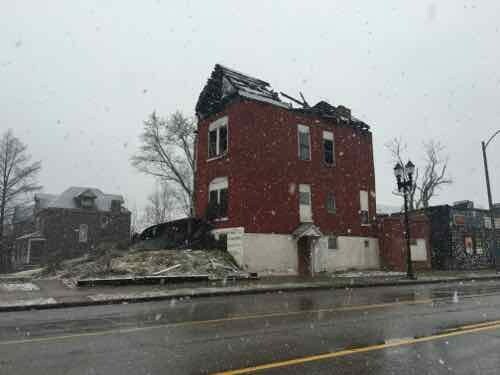 The SW corner of MLK & Taylor, 4500 MLK, was being razed. Was Taylor & Easton Drug. Click for map. Same corner in January 2007, was built in 1905. Lots of buildings have been razed to provide parking lots for churches. Another building I didn’t think would survive is still here is one of my favorites. 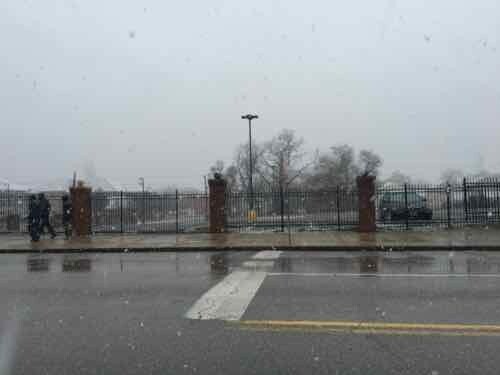 Located just East of Goodfellow. With the exception of the IBEW museum, this year was very depressing. In the recent non-scientific Sunday Poll readers were split on MSD’s plan to raze vacant buildings to reduce water runoff. Q: To reduce water runoff, the Metropolitan Sewer District (MSD) plans to raze vacant buildings. Oppose or support? As you can see, the “strongly oppose” answer got the biggest response. Supporters weren’t as enthusiastic. Much of the demolition would happen in neighborhoods struggling to remain relevant. While it could take several years to spend down the money, even the longest spending scenario would amount to a near doubling of St. Louis’ demolition budget. 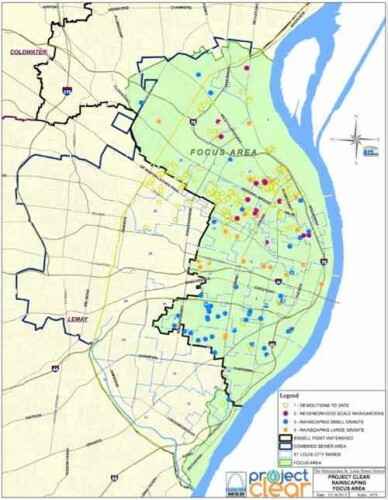 And areas where MSD sees the most benefit in terms of runoff and watersheds also are the areas – primarily in north St. Louis – where the city’s vacant properties are concentrated. Each time a building is razed it gets harder to convince remaining owners to invest in their properties, to get residents to stay. Still, I need to read more about MSD’s Project Clear. 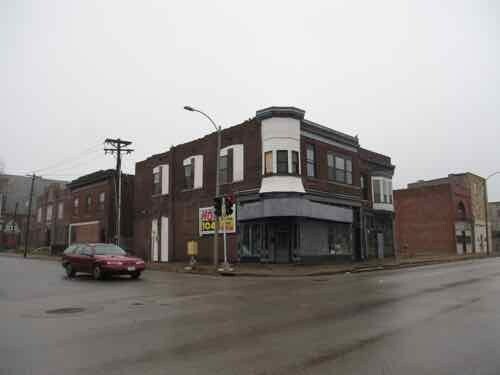 Sunday Poll: Support or oppose MSD plan to raze vacant buildings to reduce water runoff? 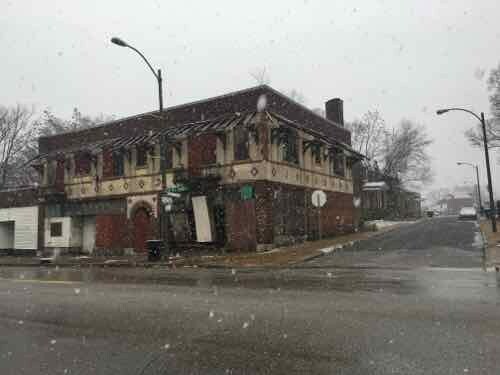 The Metropolitan St. Louis Sewer District wants to spend $13.5 million of its own money to tear down vacant properties. 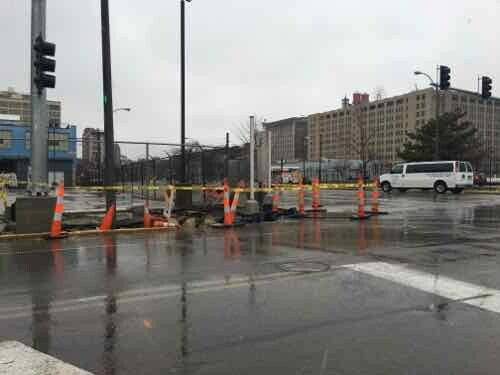 Grassy lots would let stormwater slowly percolate into the ground instead of rushing into the combined sewer system that serves much of St. Louis. So I want to know if this is something you support or oppose? This unscientific poll will remain open until 8pm. An event ia taking place tomorrow afternoon in a once-thriving commercial district: The Wellston Loop. “Wellston Loop Family Reunion & Exhibit” will take place on Saturday, November 21 from 1 to 3pm. A sidewalk exhibition of recent photographs and historic documents will highlight the community. The event will offer free food, drink, music and videos. 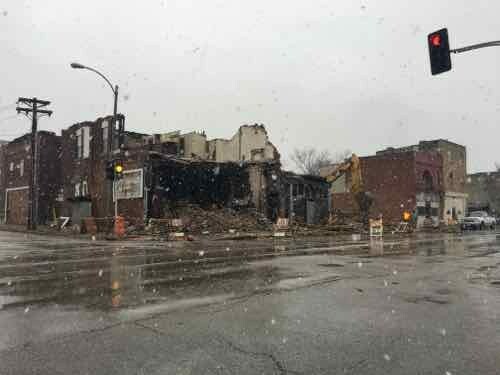 The primary venue will be the former J.C. Penney Department Store (on the National Register of Historic Places) at 5930 Dr. Martin Luther King Drive, St. Louis, Missouri 63112. 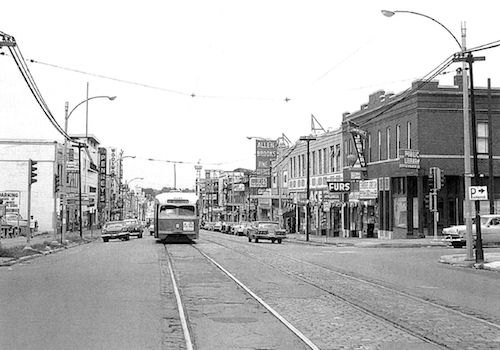 We’re inviting members of the surrounding community (past or present) who would like to share stories, photographs or videos of the neighborhood (Wellston Loop, Hamilton Heights and Wells/Goodfellow) from any era to submit them for inclusion and display. 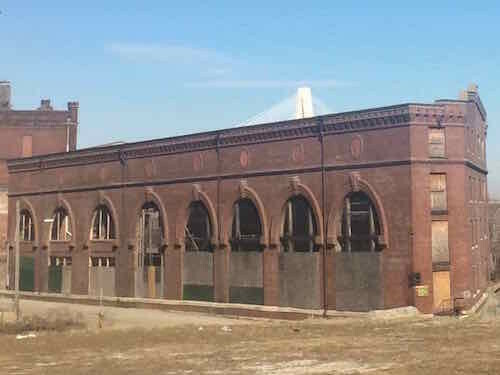 Another significant building in the former shopping district is the Wellston streetcar transfer station from 1909. It is also on the National Register of Historic Places. This building has recently been awarded funding for a complete historic restoration scheduled to begin December 2015. 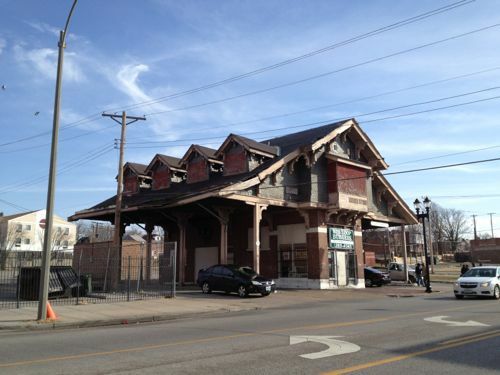 It is the only building of its kind (streetcar station building) left standing in St. Louis. See the Facebook event Wellston Loop Family Reunion & Exhibit for more detail. For further reading. see Reflections: In Wellston, a ‘family reunion’ explores faded riches, realities – and possibilities.